In this historic building constructed under the French regime, you will be thoroughly tempted to savour a meal that responds to your expectations. 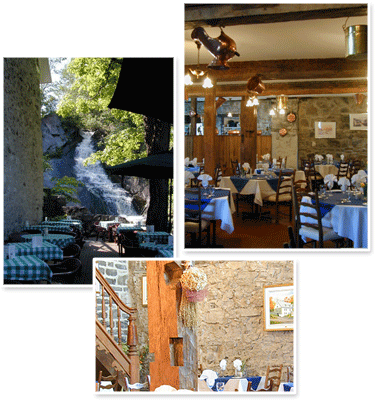 Let yourself be warmed by the stone, the service and the wonderful cuisine. Two wonderful patios with a magnificent view of the waterfall situated next to the restaurant where you may enjoy your meal or maybe just enjoy a cocktail.